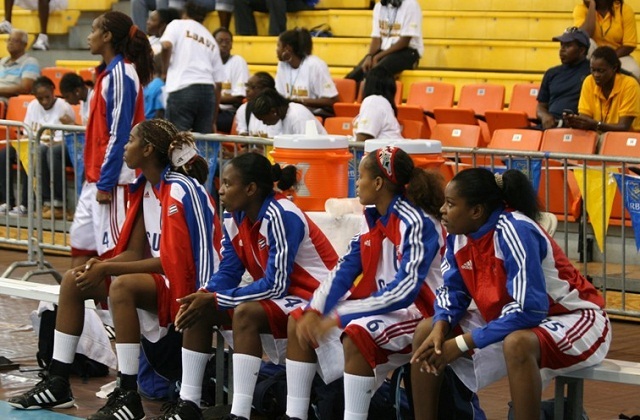 Nassau, Bahamas- The 2011 Caribbean Basketball Championship for Women concluded today with three teams, Cuba, Trinidad & Tobago and the US Virgin Islands classifying to the next Centrobasket championship. In the first game, the team of Trinidad & Tobago defeated the Dominican Republic team, 82-76, thanks to a huge second half. The first two quarters were for the Dominicans, who won the first 18-11 and the second 20-16, to go into the third quarter with an 11-point lead. In the second half, Trinidad & Tobago corrected their mistakes and behind 33 points and 10 rebounds from Melissa Guerrero got the win with a final quarter that they won by 10 points. Jowan Ortega with 17 points and 8 rebounds, and Chenel Harris with 13 points and 6 assists, also contributed big to the victory, while the Dominicans, Carmen Guzman and Sugeiry Monsac had big games scoring 26 and 24 respectively. With the victory, Trinidad & Tobago secured second place in the championship and a spot for the next Centrobasket championship. The Dominican Republic, meanwhile, finished in the fourth spot and failed to qualify for the championship. The US Virgin Islands team also qualified for the next Centrobasket when they beat St. Vincent and the Grenadines 92-70. An enormous fourth quarter, 32-17, gave the victory to the US Virgin Islands. Natalie Day scored 36 points, 8 rebounds and 7 assists to lead all players in the game. The other spot in Centrobasket was awarded to the team of Cuba, that once again demonstrated its superiority when they beat the host team of Bahamas by 31 points, 85-54. The Bahamas team was not competitive, except in the second quarter, but the rest of the game belonged to the Cubans, who with their defensive strength, made Bahamas commit 34 turnovers. Taimy Fernandez scored 22 points to lead the winning team, while her teammate, Clenio Noblet looked huge with 18 points, 13 rebounds and 4 steals. With the victory, Cuba finished in first place in the Championship with a 5-0.